This would be a great resume for someone really trying to focus on specific skills. It creates a lot of open space, making it ideal to read. 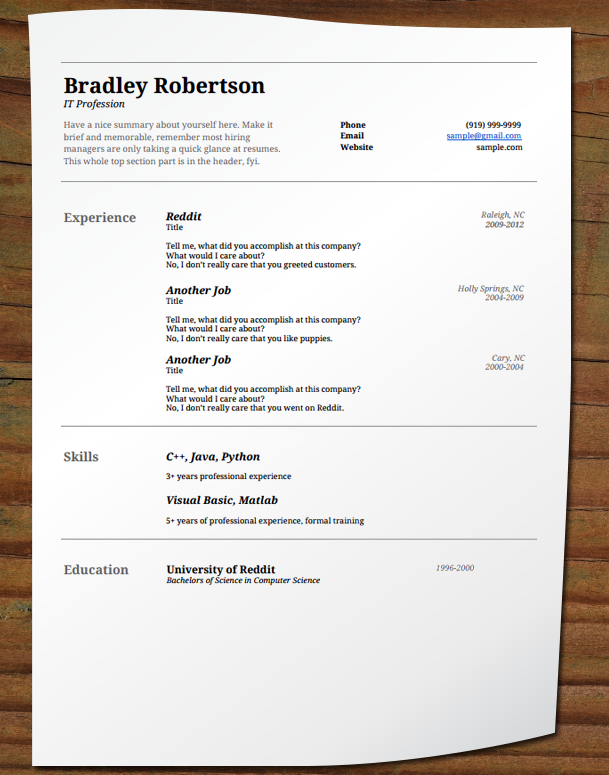 You do need to be concise on this resume, however, for the best formatting. Remember, a resume is meant to catch the eye and get you an interview, not meant to present your whole life story. A resume is meant to catch the eye and get you an interview. Such an incredible post I also checked on http://best-essay-writing-service.reviews/essayclick-net-review/ website. Make your personal statement is one of the important thing. Here in this article brief description about how to make an effective resume is given. I really like this informative post. Keep sharing this post to keep the people updated about this incredible content. As a IT Exam Material Seller, I think Elastic Cloud Storage (ECS) Systems Administrator is easiest IT Certification. It’s in demand now a days. KillderDumps offers best preparation study material for DES-1B31 Exam and question answer files for all types of IT Certification Exams. I'm really happy I pass my Cisco exam so easy, all due to Cisco Certified Internetwork Expert Routing & Switching Exam Dumps. I Know my preparation day the source which i found helpful at those days were Microsoft Exam Preparation Material.